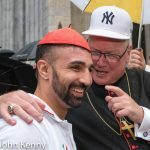 2017 mayoral election opponents Nicole Malliotakis and Bo Dietl joined forces to protest the release of the “Palm Sunday massacre” killer. Christopher Thomas was convicted on ten counts of manslaughter, but not murder, and sentenced to 50 years in prison. He was recently released, pursuant to state law, after serving 32 of those 50 years. 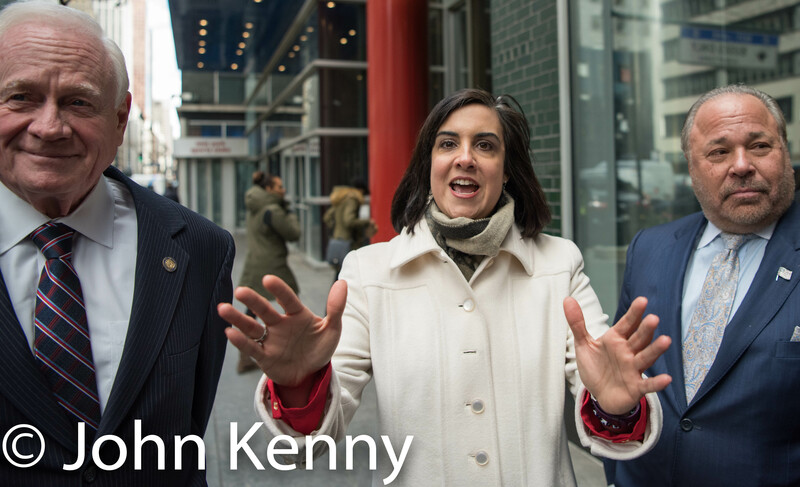 Malliotakis, Dietl and NYS Senator Marty Golden appeared outside Governor Cuomo’s Manhattan office in protest. 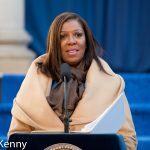 New York City’s three citywide elected officials were sworn in to second terms Monday, with Mayor Bill de Blasio, Public Advocate Letitia James and Comptroller Scott Stringer taking their oaths in front of City Hall on a bitterly cold afternoon. All three were reelected to a second and final term in November, with term limits precluding 2021 reelection bids. They’re able to run for each others offices however, with James and Stringer widely seen as contemplating mayoral runs. 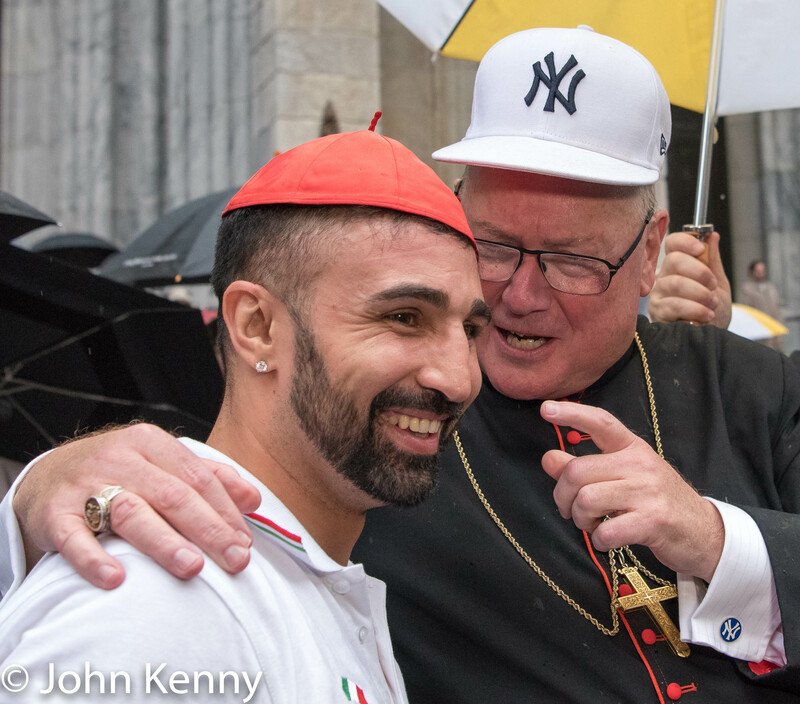 The 2017 mayoral election is over, but the photos live on. 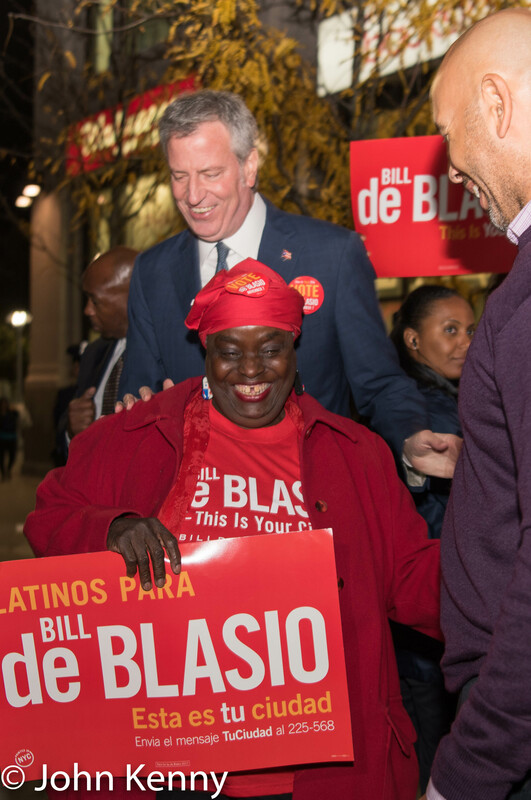 Our photo retrospective covers the race from a 2016 endorsement of Bill de Blasio and a January 2017 appearance by Paul Massey through election night. I’ve chosen this selection from the more than 100 campaign events I attended. Four aspiring Republican mayoral candidates at a March forum hosted by the Columbia College Republicans. 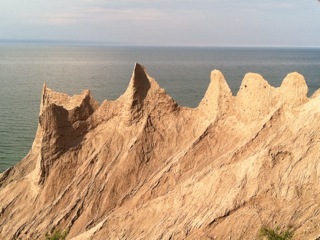 None of the four made it to the Republican primary or general election. The election is over but the campaign rolls on. 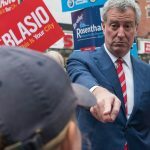 Nicole Malliotakis acknowledged defeat Tuesday night as vote totals rolled in confirming the expected, that Mayor Bill de Blasio had soundly defeated her, but her speech could not fairly be called a concession speech. Taking the stage with a smile to Tom Petty’s I Won’t Back Down Malliotakis repeated many of her campaign themes while never mentioning Mayor de Blasio. 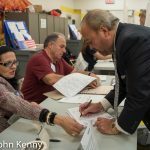 Here’s a brief photographic look at Bo Dietl, Bill de Blasio and Nicole Malliotakis on election day. 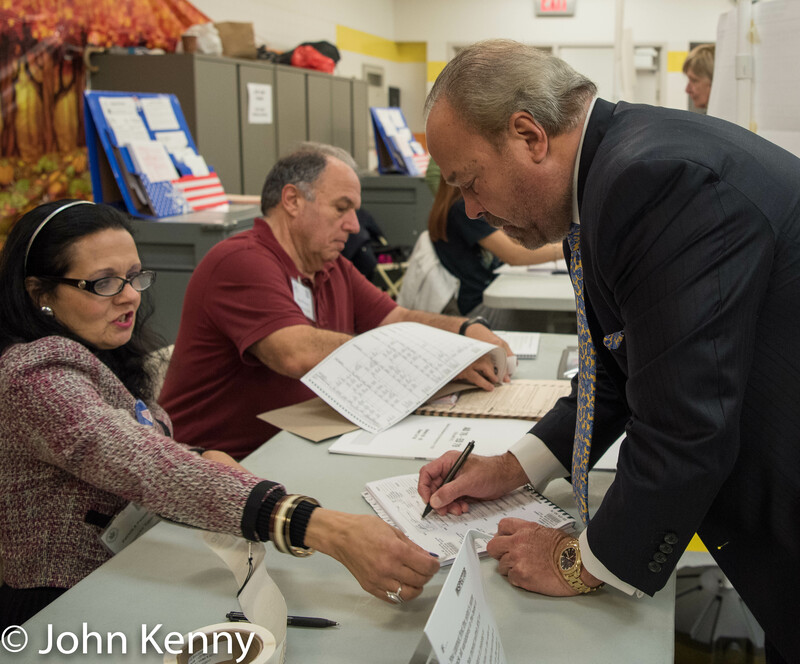 Independent mayoral candidate Bo Dietl voted this morning on Manhattan’s Upper East Side. Arriving just after 8:00 Dietl was greeted by a modest press contingent. 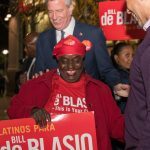 2017 Mayoral Race, Bill de Blasio, Photos, Ruben Diaz Jr.
Mayor Bill de Blasio wrapped up his reelection campaign with an election eve appearance on Fordham Road in the Bronx. 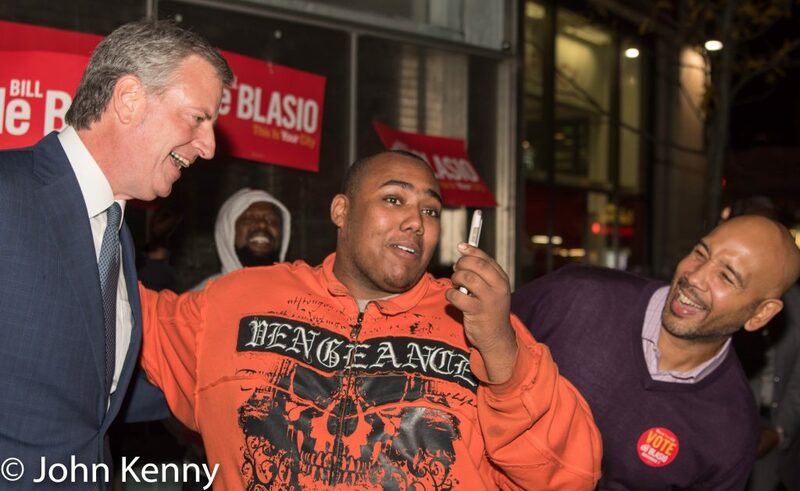 In his final appearance before election day the mayor greeted passersby for about 40 minutes Monday evening, shaking hands, hugging and posing for pictures with the steady flow of well-wishers who lined up for a moment with the mayor. 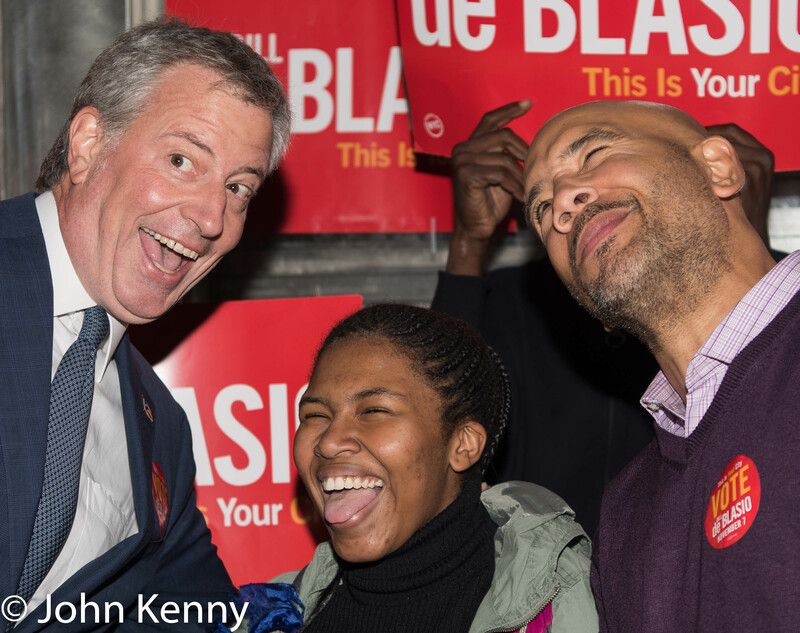 de Blasio was joined by Bronx Borough President Ruben Diaz Jr., who is also up for reelection. 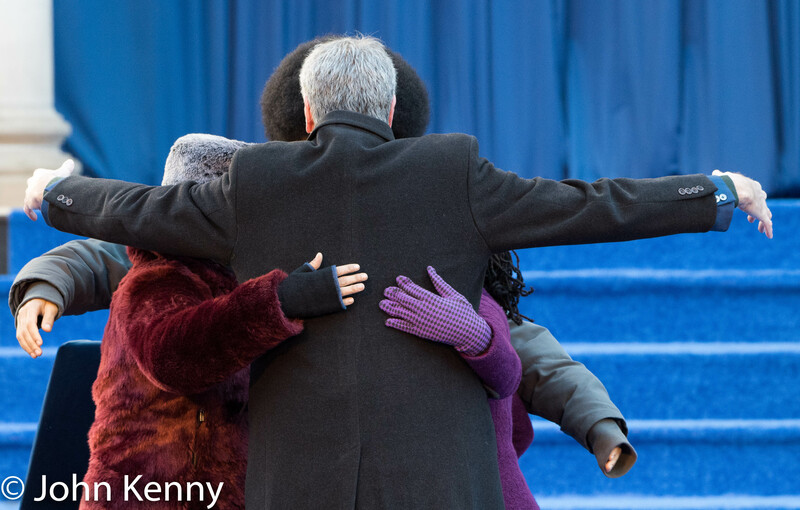 de Blasio did not, however, take any press questions. 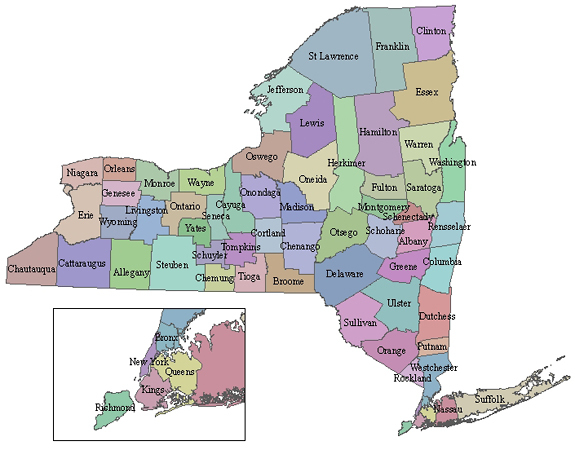 Former New York governor George Pataki today endorsed Republican/Conservative mayoral candidate Nicole Malliotakis in tomorrow’s election. 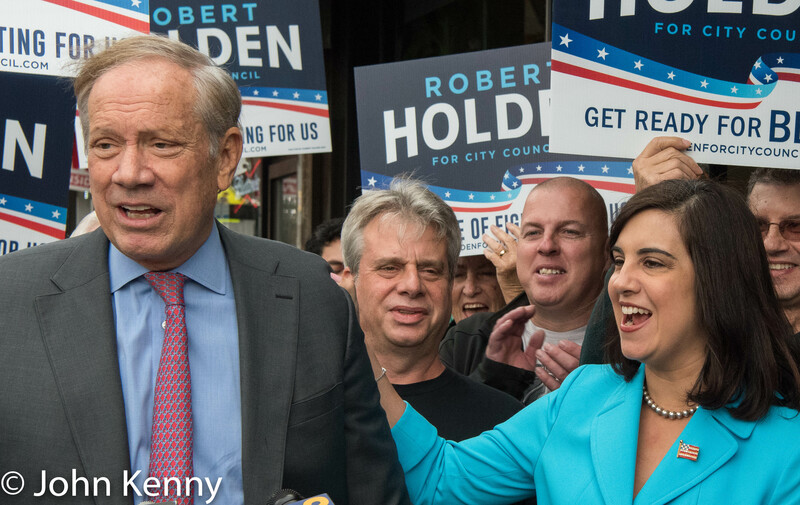 Speaking at a press conference in Middle Village Pataki praised Malliotakis and castigated incumbent Bill de Blasio. 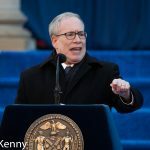 He also endorsed City Council candidate Bob Holden, who’s running against incumbent Liz Crowley in the district that includes Middle Village. 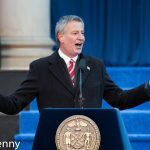 “That’s fake news, pal … don’t believe that nonsense.” That was the retort of a Malliotakis supporter today when I asked former New York governor George Pataki why he supports replacing Mayor Bill de Blasio despite record decreases in crime and a resilient economy in the City during de Blasio’s time in office. Pataki spoke at a Middle Village press conference, endorsing Republican/Conservative mayoral candidate Nicole Malliotakis and Republican City Council candidate Bob Holden. 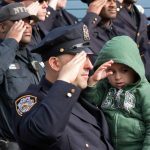 The NYPD dedicated a plaque to the memory of Sergeant Paul Tuozzolo Saturday, drawing Sergeant Tuozzolo’s wife Lisa, Mayor Bill de Blasio, Police Commissioner James O’Neill and several hundred other guests to the 43rd Precinct in Soundview. 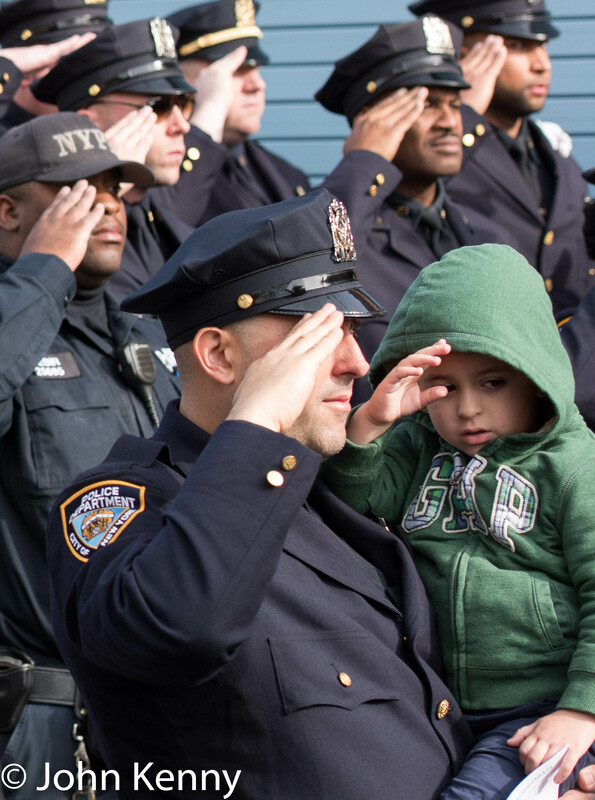 It was exactly one year since Tuozzolo was killed in the line of duty, as he and his colleagues sought to apprehend an armed man who had repeatedly violently attacked his wife. Republican/Conservative mayoral candidate Nicole Malliotakis today hung “for sale” signs on the City Hall fence. Literally, as her main opponent might say. Malliotakis held a press conference this morning just outside of City Hall and hung “for sale” signs on the fence mid-presser. 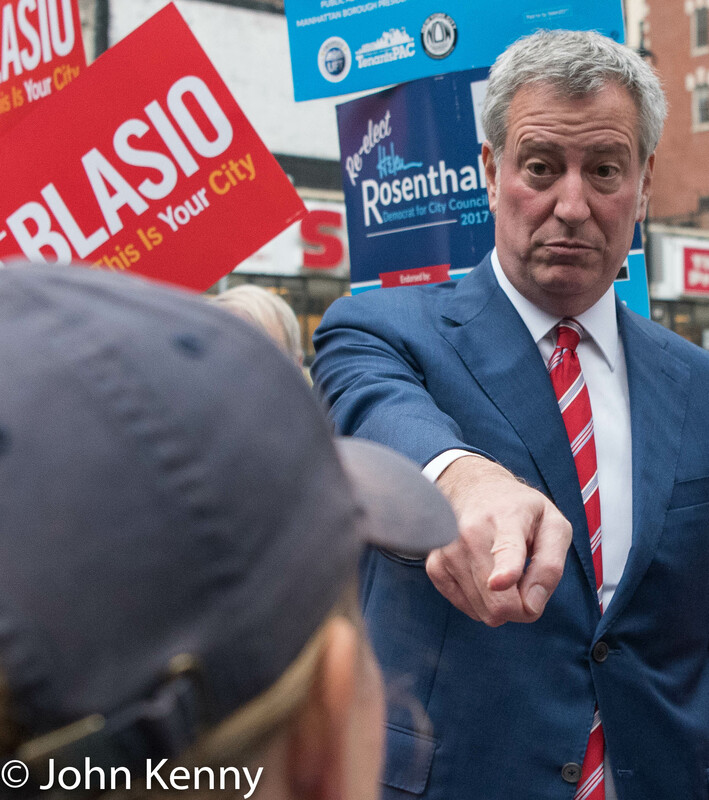 Malliotakis sought to focus attention on recent testimony of de Blasio donor Jona Rechnitz in the federal corruption trial of Norman Seabrook, in which Rechnitz said he donated large amounts of money to Mayor de Blasio in exchange for special treatment. 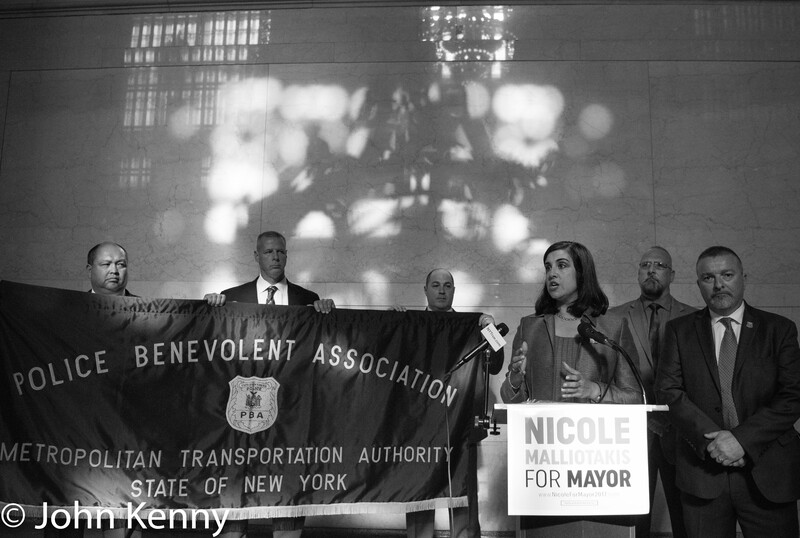 Republican/Conservative mayoral candidate Nicole Malliotakis received a third union endorsement today, as the MTA Police Benevolent Association endorsed her in a press conference at Grand Central Terminal. Malliotakis’ two other endorsements are also police unions, the NYPD Sergeants Benevolent Association and the New York State Troopers PBA. MTA PBA President Mike O’Meara cast their endorsement as choosing to side with Governor Cuomo in his continuing conflict with Mayor de Blasio, saying that Malliotakis “unlike Bill de Blasio truly cares about working with our governor to fix the problems that are affecting the MTA.” He referenced the “homeless epidemic” and the untreated mental illness that many of the homeless people his members deal with on a daily basis suffer from, lauding Malliotakis as focused on addressing those issues.